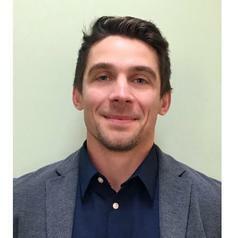 Dr. Joseph Firth is a Research Fellow at the NICM Health Research Institute at Western Sydney University in Australia. His research investigates novel interventions for improving physical and mental health outcomes in young people with psychiatric conditions, particularly psychotic disorders. Dr. Firth completed his MRC-funded PhD in Medicine at The University of Manchester, investigating the feasibility and benefits of physical exercise as an adjunctive intervention for enhancing recovery in early psychosis. He has published over 50 papers investigating the interface between physical and mental health; including first-author research articles in world-leading journals such as Schizophrenia Bulletin, NeuroImage, JAMA Psychiatry and World Psychiatry. Along with continuing in physical activity research, Joseph's interests also now include nutritional interventions for mental health, and investigating how digital technologies (including mHealth) can be harnessed to facilitate and improve psychiatric care.